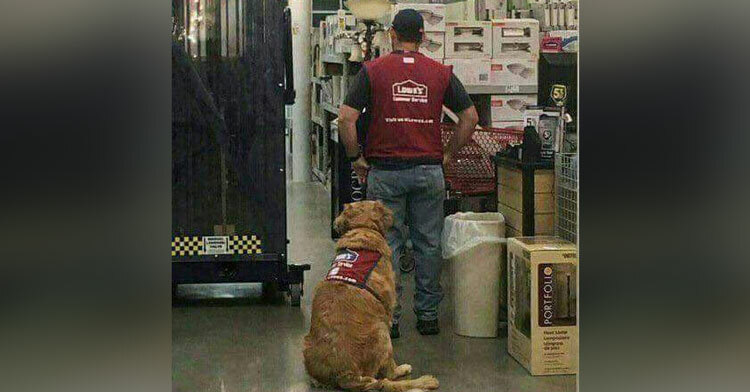 Wounded Veteran Couldn’t Get Job With Service Dog — Until Lowe’s Hired Them Both. After injuring both knees while serving in the Air Force, veteran Clay Luthy struggled to find a job back home. Part of the problem? He needed one that would accommodate Charlotte, his 10-year-old service dog. 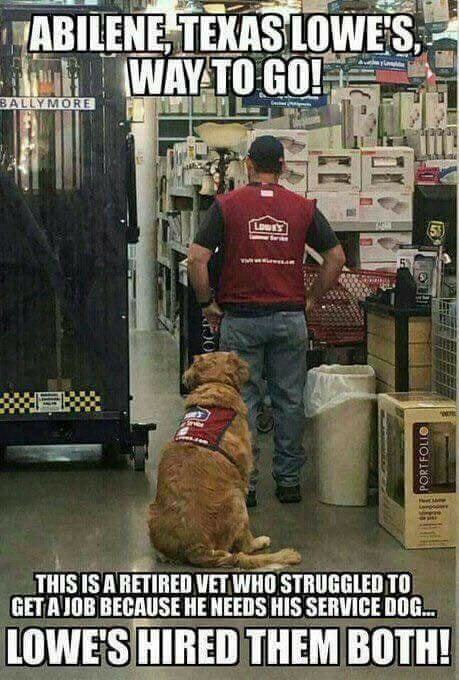 Thankfully, the Lowe’s Home Improvement store in Abilene, Texas, took one look at Charlotte the golden retriever and didn’t see a problem, rather the cutest employee ever. This story was originally shared in InspireMore’s daily newsletter, Morning Smile. Click here to subscribe!